To be sure, cities already concentrate a disproportionate share of the world’s population and economic output. Most people in cities tend to live healthier, wealthier and longer lives. But cities are also dual-edged. While they generate roughly 80% of global GDP, they consume 75% of all natural resources, emit over 80% of all greenhouse gases, and produce over 50% of all waste. What is more, many of the world’s existential challenges – rapidly ageing populations, volatile economic growth, deep income inequality, social polarization and stratification – are manifest at the urban scale. The future of urbanization hangs in the balance. If unplanned, tomorrow’s large and intermediate cities may be condemned to fragility – sprawling, polluting, congested and impoverished. If designed with the future in mind, tomorrow’s cities can be resilient – dense, green, human-centered and prosperous. The urban dilemma can be converted into an opportunity, but doing so will require a dramatic change of mindset. Decisions taken in the coming years by national and municipal public authorities, business leaders, and investors and civic entrepreneurs will have monumental implications for what happens next. One way to deliver on the urban advantage is to double down on the Sustainable Development Goals, or SDGs. The SDGs include 17 goals and 169 targets to be achieved by 2030. SDG 11, which focuses on sustainable cities and communities, explicitly acknowledges the socio-economic, housing, infrastructure and environmental challenges associated with turbo-urbanization. It sets out seven achievable targets including upgrading slums, improving transport systems, strengthening sustainable and inclusive planning, protecting cultural and natural heritage, reducing exposure to natural disasters, improving air quality and waste management, and expanding access to safe and inclusive spaces. The SDGs won’t come cheap. The UN and the World Bank conservatively estimate that it will cost $3.9 trillion dollars a year to achieve them (other UN agencies say the price tag could be as much as $4-7 trillion annually). Given current annual investment in the SDGs is just $1.4 trillion, there is a shortfall of at least $2.5 trillion. But seen from another angle, the SDGs offer an unprecedented investment and innovation opportunity. In fact, there is something in the order of $26 trillion invested today in low-yielding financial instruments that can potentially be tapped for promising urban projects. This is where the question of mindset looms large: if city leaders can convert their urban challenges into well-defined and financially viable pipelines of projects, they can bridge and potentially surpass the $2.5 trillion investment gap. Financing city development worldwide will take skill and acumen. The global economy has become highly leveraged in the aftermath of the 2008 financial crisis. This constrains the ability of national and local governments to raise capital. This is hardly new: market and institutional failures have historically hampered city access to financing. Yet given the scale of the demand and the potential opportunities, cities must quickly upgrade their regulatory environments and capacities to tap the wide spectrum of financing on offer. Much like the evolving climate-finance architecture, it is time to start thinking about a more coherent urban finance ecosystem in order to channel more predictable funding to large and secondary cities. There is a tremendous supply of capital potentially available for financing cities. Much of it is tied to pension, sovereign and insurance funds and endowments. There are also growing numbers of impact investors who are eager to invest in socially and environmentally responsible projects while generating a decent return. Likewise, multinational development banks are also getting into the game, many of them seeking to de-risk investments for private investors, foster public-private partnerships and provide concessional finance, particularly for lower-income and emerging market cities. Cities themselves are actively exploring domestic sources of financing, including municipal bonds, privatizing under-used assets, securitization and even crowdsourcing. While wealthy global cities are comparatively better resourced, cities in lower and middle-income settings face an uphill battle to secure adequate financing. 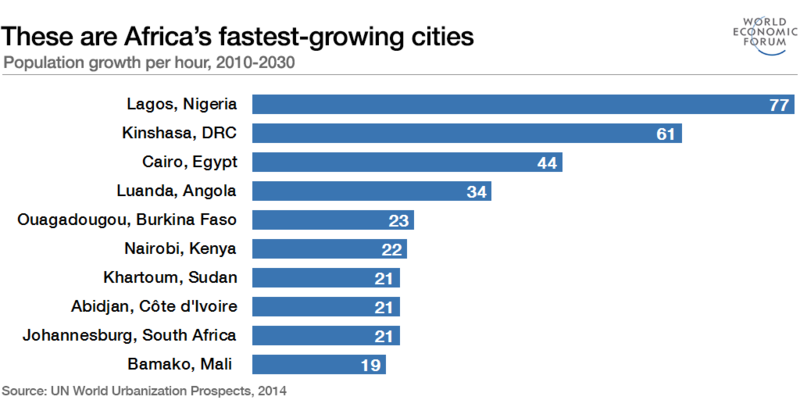 Most fast-growing cities in the Americas, Africa and Asia suffer from cumbersome red tape and lack the discretion and autonomy to take decisions. Most do not have a credit-rating score and struggle to convince national authorities to provide collateral. Currency risks mean that developers are wary of taking on dollar-denominated debt, knowing that a currency devaluation could sink them. As a result, developers spend an inordinate amount of time seeking out investors who have the risk tolerance and long-time horizons necessary to finance brownfield and greenfield opportunities. Cities in developed and underdeveloped settings alike underestimate the opportunities to access finance. The truth is that they can deploy a host of regulatory instruments to shape market characteristics to their advantage. In some cases, cities can creatively leverage their assets (e.g. leasing public properties, developing land value capture mechanisms) or introduce user charges. There are also a new generation of charter cities, special economic zone and local free trade arrangements that can create opportunities for new investors. Local, national, regional and global incubation and investment platforms can also be developed to catalyze and accelerate urban financing. Delivering urban improvements will require strengthening the institutional capacities of cities to source alternative financing. At a minimum, cities will need to develop creative ways to work with (and occasionally around) nation states that typically oversee (and guarantee) transfer payments and procurement policies. City authorities will need to fine-tune master plans, upgrade urban policy frameworks and consolidate project pipelines that are attractive to foreign and domestic investors. Cities also need to experiment with new ways to bridge the financing gap, including pre-investment feasibility analyses and due diligence and business case creation. Novel mechanisms need to be designed in such a way that they match the potential supply of finances with the demand from city-based projects. And when urban projects are formed properly and creatively financed, they also can generate substantial demand from the private sector. In these geopolitically and economically uncertain times, cities may well create a stimulus for significant investment, higher growth and new and high-skill jobs. Not only can they provide acceptable returns for investors, they will also solve real urban challenges targeted by the SDGs and enhance the overall quality of life for this and the next generation of urban residents. There is an unprecedented opportunity to deliver on the urban advantage. If designed with the future in mind, cities may actually end up being the key to achieving the SDGs. With 1.5 million new residents added to cities every week, the time to act is now. All three authors are members of the Global Council on SDG 11, committed to accelerating and scaling SDG achievement between 2018-2020.